Audio Only Sub Station - The AX-B is a semi-flush mounted audio only sub station for the AX series. The unit is constructed of sturdy ABS plastic, has a button for call-in and a speaker/mic for communication. The unit homerun wires back to the CCU using CAT-5e cable. Audio Only Sub Station - The AX-BN is a semi-flush mounted audio only sub station for the AX series with a privacy button to prevent monitoring. 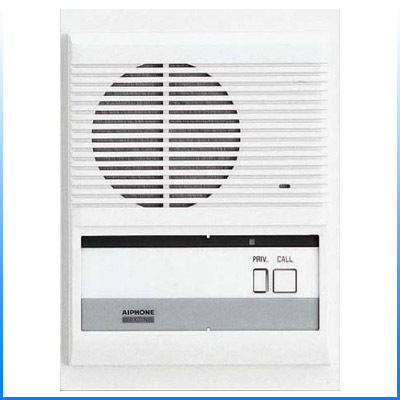 The unit is constructed of sturdy ABS plastic, has a button for call-in and a speaker/mic for communication. The unit homerun wires back to the CCU using CAT-5e cable.